Following strong initial project success in the UK, RCR Flooring Products Ltd is continuing to extend the growth of the RINOL resin flooring systems brand in the UK. The RINOL brand perfectly complements RCR’s range of industrial flooring products, which also includes Permaban armoured joints and Rocland dry-shake surface hardeners for concrete floors. Established internationally for over 50 years, the RINOL brand – owned by parent company RCR Industrial Flooring – is well respected for its high-quality, multi-layer resin systems, designed to specifically meet the needs of key market sectors. RINOL’s synthetic resin coating systems are manufactured in Germany and Italy, yet their influence in the industrial flooring market spans the globe. They have been used on projects worldwide for major commercial and industrial brands, such as Audi, BMW, Decathlon and Lidl. The majority of RINOL systems are either epoxy resin or polyurethane based. Each system typically comprises two or three layers, applied in turn to the concrete surface – a primer, then a levelling compound, and finally the coloured coating. This process ensures a high-quality, durable and attractive finish. 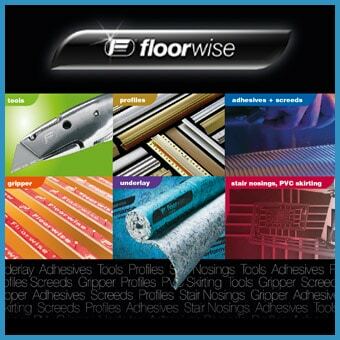 As well as suiting industrial floors (both new-build and refurbishment work), RINOL’s systems are also popular for showrooms, exhibition centres, schools, public buildings and large apartments. Choosing a RINOL coating offers important benefits to the building’s owner and user, such as chemical resistance, abrasion resistance, and an attractive seamless finish. A wide range of RAL and NCS colours are available. Furthermore, the company can create special systems to precisely suit a client’s application – all controlled through its ISO9001 procedures. With around 30 systems to choose from, clients and specifiers can find an ideal system for most commercial, industrial and high-end domestic applications. RINOL Allrounder is one of the most popular choices for general industry, as it can be used equally well for manufacturing plants and production and storage areas. It offers capable resistance to heavy loads and shocks, and high resistance to chemicals and abrasion, making it highly durable. Plus, it is easy to clean and maintain. Food and beverage production areas have particular demands for hygiene and health and safety, including ease of cleaning and slip resistance. RINOL Crete provides it all, as it counteracts bacteriological development, and resists common food-based acids and salts, as well as bleaches and solvents. It complies with European standards for food processing plants; and withstands heavy loads and impacts, as well as temperatures from 80°C to -20°C. RINOL QCR is the recommended system for pharmaceutical and health care applications, including clinics and hospitals. With a superb quartz colour finish, it resists low-level impacts and scratches, and is very easy to clean and naturally slip resistant. For electronics environments and clean rooms, RINOL Conductiveprovides a seamless, dust-free finish which it tested for conductivity or electro-static discharge. RINOL Comfort, as its name suggests, is easy underfoot, making it ideal for high-end domestic use, as well as showrooms, offices, reception areas and schools. Its good colour stability means it can be relied upon to stay aesthetically pleasing. Many other specialist systems are available, including a range for car park surfaces.